Braid ruled the Midwest scene in the mid 1990s, and have left a lasting impression on countless bands that operate today. Bob Nanna and the other two members left from Braid (Todd Bell and Damon Atkinson) pressed ahead and formed Hey Mercedes. After an debut EP on Polyvinyl, Hey Mercedes didn't garner much attention until their full length, 'Everynight Fireworks' came out on Vagrant. While there were a different set of elements, the album definitely sounded a lot like Braid. 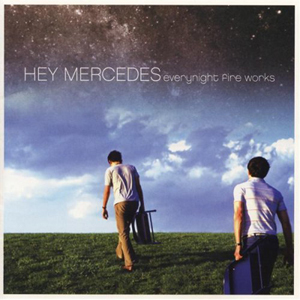 Since then, Hey Mercedes has toured all over the planet, and released a follow up EP, The Weekend. Hey Mercedes are on track to release a new album in Spring 2003. I talked to Bob about Braid, the new band, beer pong, and other stuff. Looking back on everything's that happened....you're now on Vagrant Records and have a much bigger fanbase then Braid ever did, in large part due to your current labels promotions. Are you truly happy now with how things are going? Yes, I couldn't be happier. Vagrant has done a great job exposing us to a much younger crowd, and in most cases, they are the most excited about the music. Highly impressionable as well! I was there myself. If it wasn't for inspiring bands that I saw when I was 15-18, music may have forever been on the backburner. I only hope we have that effect on the audience. Many people have described Hey Mercedes music as an engine, the drumming, vocals, bass, ands guitar, have this great mix, and the sound you employ is very original. You took some time after the breakup of Braid to fine tune Hey Mercedes sound. What was the process of trying to reinvent yourself? Thanks, well, anytime you are forced into a situation where the slate has been washed clean, there is a natural reinvention that takes place. For us, it wasn't really any shift in musical direction as much as a more experienced and mature approach to the songwriting process and especially touring and dealing with each other. We took the opportunity to try and do things correctly from the get-go. I can't say it's been a completely successful game plan, but we're still learning. In the last few months, Hey Mercedes has been recording new material. Can you give us some insight into any of the music? How does it sound so far, is it different or more of a progression from Everynight Fireworks? I think our songwriting has gotten more cohesive. For instance, it was a conscious effort for me to write the vocal melodies at the same time as the music, which I hadn't really focused on doing before. I think the songs turn out better that way. Lyrically, it's going to be pretty dark. I guess the most inspiring words come out of the toughest times. Can you give us some insight into a new full length? We're going to be recording 17 songs in March, and we hope to release the album by July, followed by the appropriate touring agenda. We're currently seeking out a producer and a studio. Braid came from Champaign, Illinois and made the move to Chicago. Currently, Hey Mercedes comes from Chicago and Milwaukee. Why is everyone so spread out? Hey Mercedes is 3/4 Milwaukee and 1/4 Chicago. It just so happens that our living situations work out that way. I had a lot going on in Chicago, so I decided to stay there. Perhaps one day I'll move to Milwaukee to make it a permanent hometown, or maybe we'll all move to California. Who knows? Whatever feels right. Movie Music Vol 1-2 were huge releases based on the fact that Braid's back catalogue of 7"s and comp appearances were so sought after. How long did it take to put these together? Movie Music was in the works long before Braid broke up, so we kept pretty tight tabs on all of our releases, knowing they'd come out on this grand compilation. In that sense, it was pretty easy. I think Gregg (Hydrafuse), the designer, had the hardest time. We gave him a huge box of photos and just said "go". Speaking of certain songs from the volumes, Volume 2 has re-recorded versions of "Jimmy Go Swimmer" and "Eulalia, Eulalia" (from your Age of Octeen album) and they sound better then ever. Were you not always satisfied with the originals? The versions on Movie Music were recorded before the versions for The Age of Octeen. Sometimes, we just felt like we could improve on the songs, or perhaps wanted to try them out at a different studio. "To Kiss A Trumpet Player" has to be one of the most haunting songs I have heard...can you give some background info into the song? I don't remember too much of that song's creation, which probably points to the fact that it was thrown together in a night. This often happened. I was taking this bogus poetry class at the time, and I drew a lot of the lyrics from dumb pieces that I wrote for the class. I got a B. "Elephant" features female vocals. How did you come up for the concept of this song? We just wanted to make a really short, unique song. Kate, the female vocalist, was actually part of the band for our first 2 months... The beginning part is from Dumbo, hence the name "Elephant". 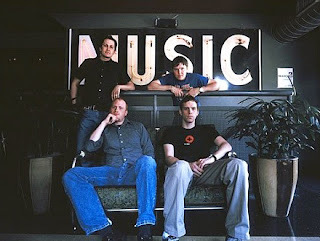 Many people have remarked that both Braid and Hey Mercedes are influenced by such bands as Fugazi. Growing up, what bands did you like that you think crafted your sound in your later bands? Fugazi is definitely a #1 inspiration for many facets of our musical lives. In our area, I was fascinated by bands like Target and Gauge, along with Jawbox and Samiam. I was really drawn to the angular guitar sound, coupled with pop vocal styles. Please tell the readers about all the great Champaign bands, along with the Chicago ones. Champaign had Hum, Sarge, Castor, and the Poster Children. I'm not sure who's hanging around there now. Unfortunately I haven't been home for awhile, so I can't tell you about any cool new Chicago bands. I do enjoy The Ghost, North By Northwest, and Haymarket Riot. What were some of the best bands you've ever toured with? I enjoyed touring with Jets to Brazil. It's amazing how they can just stand up there nondescript and play, yet have the most gripping stage presence. Any movies you've seen recently? Haven't seen too many movies lately. But I really enjoyed Punch-Drunk Love. Does Hey Mercedes keep in contact with Chris Broach? What is he doing these days? Last I heard he started a new label. Yes, Lucid Records, I believe. He's putting out a record by a band called The Blackouts. 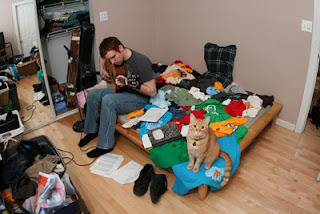 He's also playing in a band called L'Spaerow. J. Robbins has been recording your stuff since Braid's last album, Frames And Canvas. What about him makes him an easy choice to produce your records? We were fascinated by his work, both musically and production-wise. Once we worked with him on Frames And Canvas, we all became friends, so he was the natural choice for Everynight Fire Works. We're looking to try someone else for the next record, though, just to go for something different. I hear you're a big fan of Beer Pong...how do you play this game for the sadly misinformed? 10 cups = 4 in back row, then 3, then 2, then 1. And as always, if the ball is spinning around at the top of the cup, you can blow it out to save the beer...tons of fun. We also incorporate costumes and themes into the tournaments, but that just gets too ridiculous to explain! Your companion site to the official Hey Mercedes site, Are You Wearing A Wire, has been up for two years now. This is a blog that was started after Braid broke up and began to document the life and progress of Hey Mercedes. Do you think this is an excellent outlet to talk about anything, especially when you're not talking about music? Of course. I started it to keep me busy while I was wasting away in an office job. I wanted to open and keep open a huge communication line with fans or whomever. Now it's a great springboard for any projects we can imagine. For example, we did this huge mix CD trade session recently! Thanks for the interview Kevin, keep in touch.